Combining military, political, cultural, social, and oral history, Sebastian Balfour narrates the development of a brutalised, interventionist army that played a crucial role in the victory of the Francoists in the Spanish Civil War. 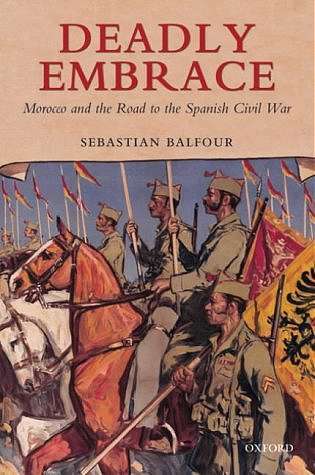 Spain's new colonial venture in Morocco in the early 20th-century turned into a bloody war against the tribes resisting the Spanish invasion of their lands. After suffering a succession of heavy military disasters against some of the most accomplished guerrillas in the world, the Spanish army turned to chemical warfare and dropped massive quantities of mustard gas on civilians. Dr Balfour exposes this previously closely guarded secret using evidence from Spanish military archives and from survivors in Morocco. He also narrates the daily life of soldiers in the war as well as the self-images and tensions among the colonial officers. Content and Graphics copyright Oxford University Press, 2002. All rights reserved. By permission of Oxford University Press.